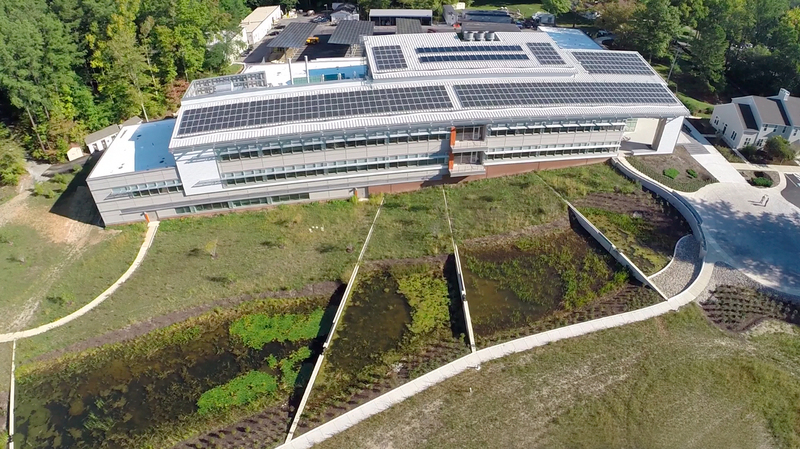 Nontraditional and creative solutions for the management or mitigation of stormwater at a site. Below you will find information about the winners of the Best Innovative BMP category of the 2015 BUBBAs. A short presentation describing the first place winner of the Best Innovative BMP category for the 2015 BUBBA contest. 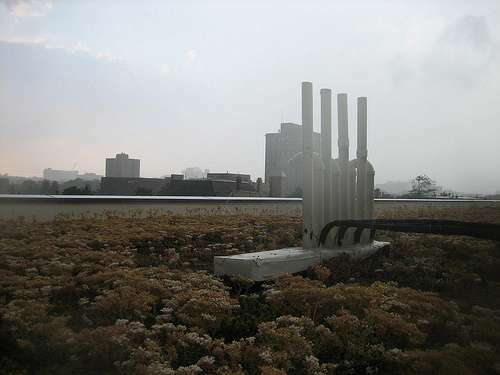 This project involves the capture and re‐use of hoop‐house roof runoff at an urban‐agriculture site in Baltimore City. Four used shipping containers are used to store over 34,000 gallons of runoff that is then re‐used on‐site for crop irrigation within the hoop houses. This project demonstrates a unique and creative solution to manage runoff from an urban‐farming site. Rather than contribute additional runoff into the storm drain system, the design effectively captures and manages this runoff on‐site. The hoop houses protect the crops from rainfall, which minimizes any nutrient runoff from the crop beds. Additionally, the need for potable water input is significantly reduced. The use of shipping containers to store the runoff is a creative re‐use of a waste product. This site provides a great example of urban‐agricultural best management practices and also represents a creative and beneficial design for vacant green space. Further, this project was designed and constructed on a small budget, demonstrating a cost‐effective solution to a challenging site. To learn more about the project that was declared this year’s first place Innovative BMP, visit the project folder on our google drive here. 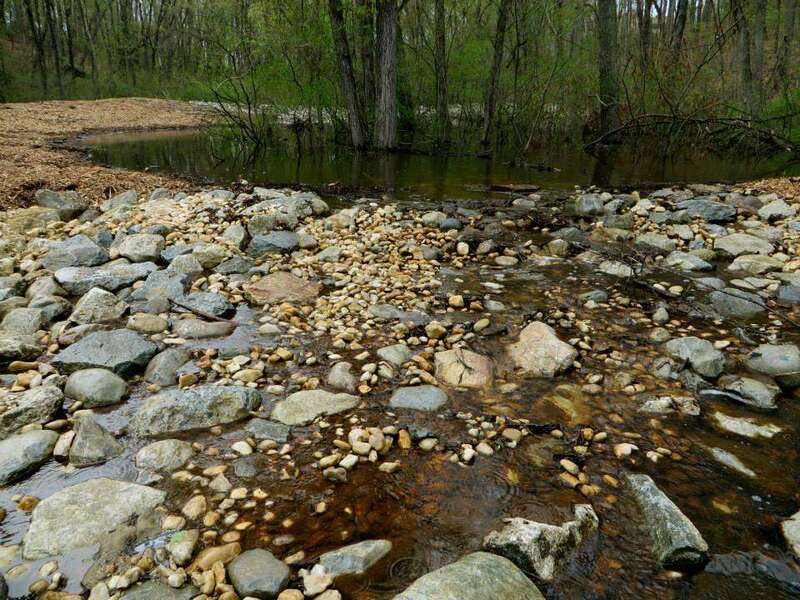 This project integrates several different BMPs techniques to treat site runoff from the SERC Mathias Laboratory. The required design criteria were significantly exceeded to provide a more complete and sustainable ecosystem on the property. In addition, the design adds aesthetic and artistic value to the site. Creative features include capture and treatment of water from the fire protection system, and also the use of captured rooftop runoff to sustain micropool levels or irrigate system plantings during dry periods. This project demonstrates an effective stormwater solution for use on steep slopes and treats a large amount of runoff in a small footprint. There was concern over whether or not this practice should be considered “proprietary” but the jury decided to consider this a local adaptation of the SmartSlope system due to the added stormwater management benefit. 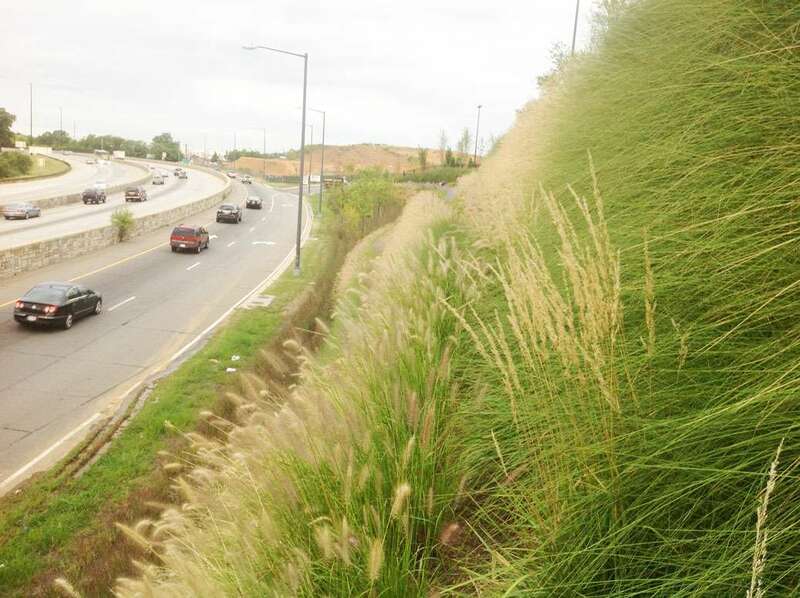 The project provides an aesthetic benefit, although the use of more native plants would have been preferred. Also, jurors would have liked to see more of the natural site topography and layout preserved, although this was not an evaluation criteria.